Facebook has enabled new featured into the security setting to help users safe guard their account from unauthorized person and hackers who may hijack their account unknowingly. Thanks to various scamming and hackers that is taking place to bring about this security code service to enable on Facebook. 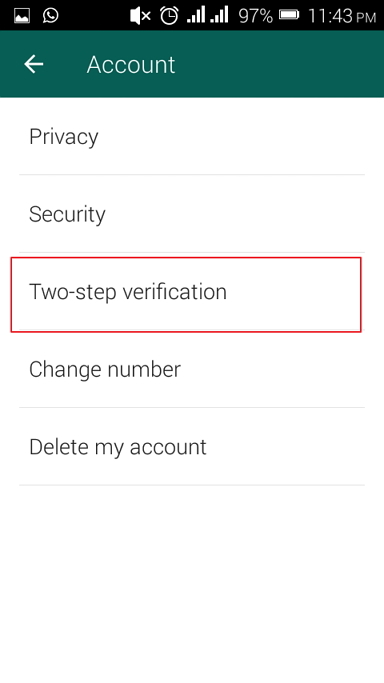 One of the strong defenses against thieves is adding two-factor verification which requires enabling on your phone security code. 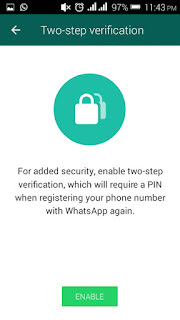 This means that in just a few minutes you can make your account even more secure. This service has already be offered on app like Yahoo, Google, Twitter and also on web hosting provider services already enable two-factor authentication to prevent unauthorized accessed to their users account but WhatsApp is the latest to join the service. 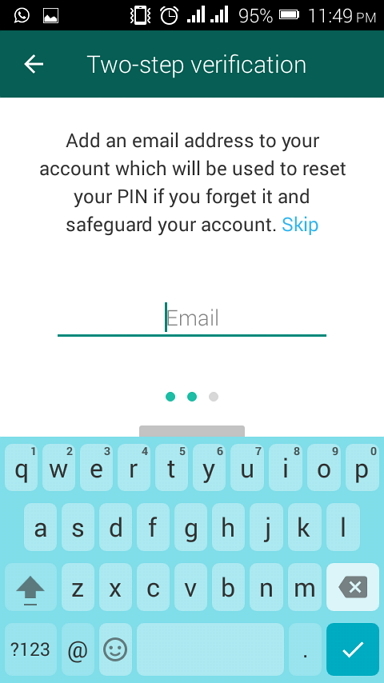 Traditionally, the way you support to secure an account is to have a password. 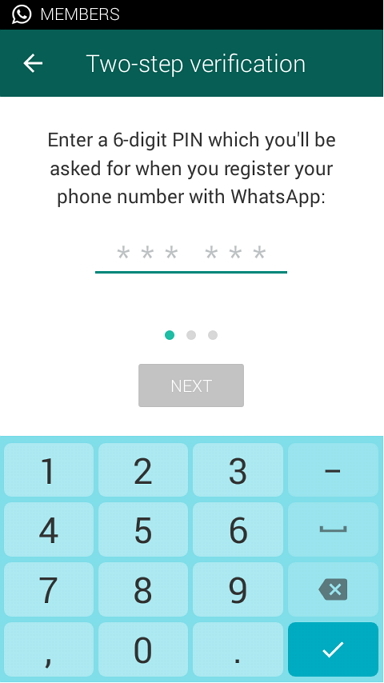 While this is enable, it’s not that difficult for any hackers to overcome this particular method, as the numerous email hacks that get reported everyday proves that when passcode is enable, your account will be more secure to hack. 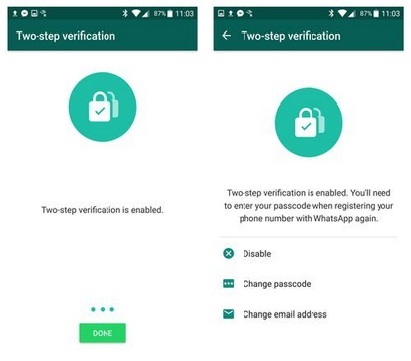 Enabling two-factor verification on WhatsApp is very easy way to ensure your messages remain private. Just follow the simple guide below, you’ll have your account more secure only in a few minutes. Firstly, ensure you are running the latest version app of WhatsApp on your Android Phone, and if not up-to-date launch to Google Play Store or Apple App Store to download. 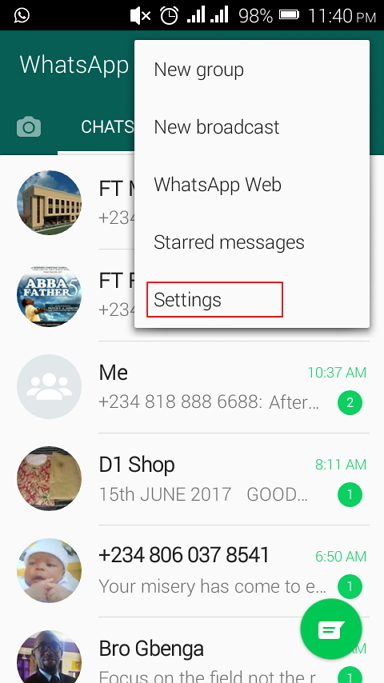 Step1: Launch to WhatsApp and tap the three dotted in the top right hand corner of your WhatsApp and opens a menu from which you need to select; Settings followed by => Account => Two-step verification and then Enable. 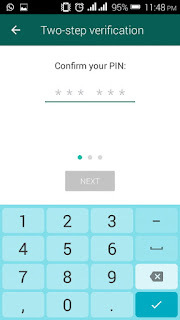 For iphone users, it is same process. Open WhatsApp menu>select setting>Account>Two Step Verification> Enable. 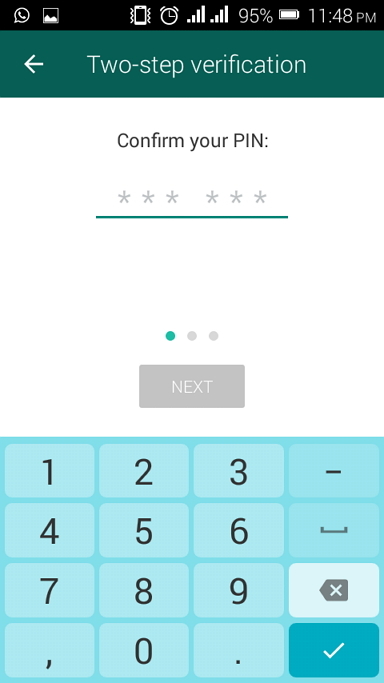 Step 2: You’ll be requested to enter your six-digit passcode, and then confirm it by entering the number again second time. 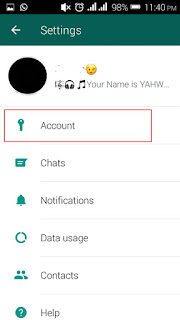 It’s essential that you remember this number you type as it will be your new password for henceforth whenever you are re-registering your WhatsApp. 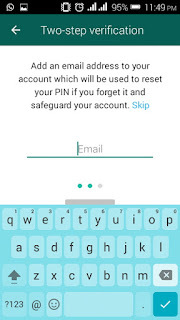 Step3: You’ll then be prompted to enter an email address should in case to reset or if you forget your PIN code. WhatsApp will use this to send you a link that you can use to disable the Two-Step Verification if you ever lose or forget your PIN code. 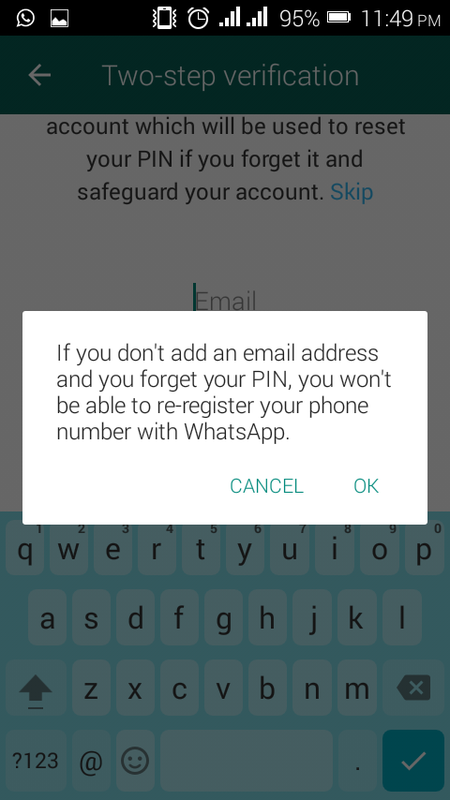 If you skip to enter Email, you will not be able to register your phone number with WhatsApp again whenever you wanted to re-register. 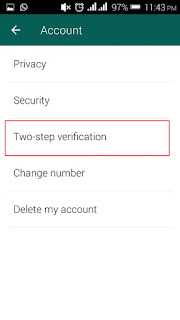 Step 4: Two-step verification is enabled. 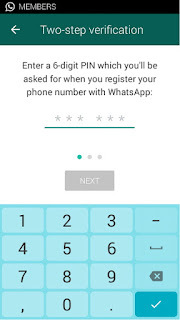 Now when you want to use WhatsApp you’ll need to enter that PIN code number. 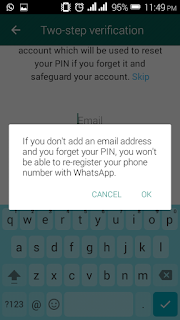 And, if you decide that you want to disable two-factor verification, or change the PIN code, and email address then you can always turn the feature off by going back to WhatsApp app menu selecting > Settings >Account >Two Step verification, then choose your option. Feel free to leave your comment, if you get it done and share with your friends via social media button.